If the expense of replacing cabinets is keeping you from renovating your kitchen, learn how to paint your own cabinets and save some money. 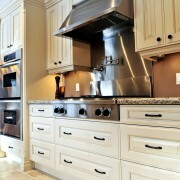 Don’t have a budget for refacing or replacing kitchen cabinets? With some helpful tips and the right materials, painting kitchen cabinets is your solution. How much can you save if you paint your kitchen cabinets? If you have warping or water damage, replacing your kitchen cabinet is best. At the low end for an average kitchen of 10 by 12 feet, you are looking at about $5,000. High-end, custom cabinets can take you up to over $20,000. Refacing can cut the cost of replacement by more than half, once again depending on the materials and hardware you choose. You could buy new appliances with the savings. You can save even more by investing the time to paint kitchen cabinets. Add in the cost of the hardware you want, and you can begin working within a tight budget. Bonus: Lots of colour choices give you the freedom to create your own unique look. 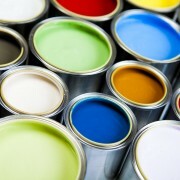 What kind of paint should you choose? 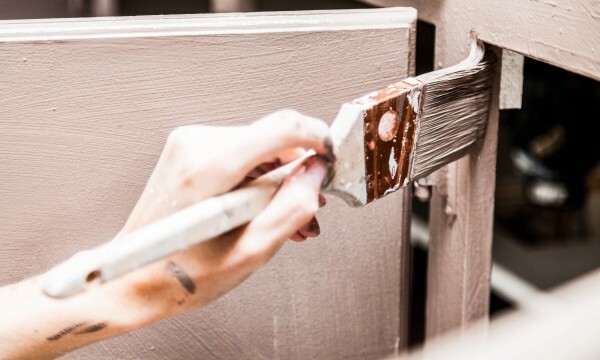 This job is all about the paint so if you need advice about what kind of paint works best on wood, metal or laminate, go to a trusted paint store or home centre. Take one cabinet door with you to help the experts help you make the right choice. Most professionals advise using an alkyd enamel paint that levels into your brush marks for a hard, smooth finish. The alkyd paint sold in Canada performs like oil-based paints that were phased out, but is water based, and has low VOC. Next is the fun, creative part – colour selection. 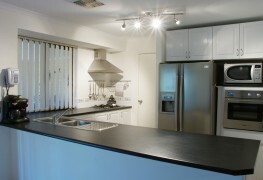 Small kitchen with not much colour and plain white or stainless steel appliances? Yellow, green, turquoise or any light, cheerful colour adds new life to an old kitchen. 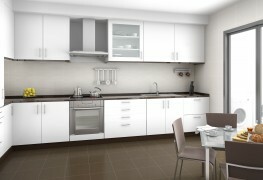 More colours in your floor, backsplash or appliances lead you to neutral tones of white, beige or grey. Even dark shades work in a smaller kitchen with the right lighting and accessories. Before you invest in gallons of paint, test colours on your cabinet door until you find the one that works best for your kitchen. Important note: You absolutely need primer if you want to successfully paint kitchen cabinets. 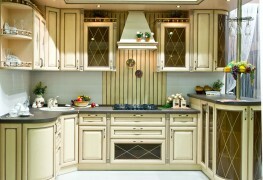 Tint it to match your kitchen cabinet paint. What steps do you need to follow for the results you want? The biggest investment you have in painting kitchen cabinets is taking the time to do the job right. 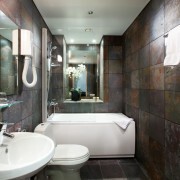 The return is infinite improvement that lasts a long time, even adding resale value to your home.